The Agile Scrum Foundation certification training is a certification that validates your knowledge in Agile methodologies and Scrum practices. 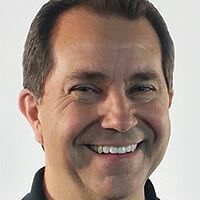 Agile methodologies are popular approaches in software development, while Scrum practices include software development by cross-functional and self-managed teams, producing working code at the end of each iteration or sprint. You’ll become Scrum-qualified, enhancing your ability to develop and deliver high-quality products and apply Scrum concepts on the job. This agile certification course is accredited by Exin. 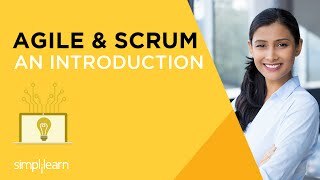 What are the criteria necessary to take the Agile Scrum Foundation exam? There are no eligibility criteria for taking the agile certification exam, but the course is primarily targeted at Scrum Masters and Agile enthusiasts who are responsible for the successful use and/or roll-out of Agile and Scrum in a project or enterprise. Those who pass the agile exam with 65% or better will be awarded certification. Simplilearn’s Agile Scrum Foundation training course is designed to prepare you to pass the agile certification exam on your first attempt. The course fee is inclusive of the examination cost (except for Japan & India). The trainer tailored the material to meet the needs of students with varying skills and abilities. I found that Simplilearn has successful programs to accommodate people who are just starting out and upskill those looking to get ahead. Very easy to follow and informative. Was very useful and served as a refresher. Very informative. Exactly what I paid for even though the cert is not a role rating in itself. I got a broader project perspective from this course, as variations on Agile were discussed, as well as best practices that I recognized from the field. I recommend the course. Content is very well designed and it is very helpful even for new learners. Thank You. Course was informative, very well formatted and organized, lots of examples were provided. Pretty much all concepts were cleared. Overall pretty good training. This course was very helpful. Troy did a great job of learning about his audience and tailoring the course appropriately. Genevieve Gertz CMO @C3 International, Inc. I have already recommended your program to a couple of friends! Very Pleased!!! The training met my expectations in the areas of completeness and topic areas covered. The trainer was very professional and was able to talk in depth on the subject. Training was excellent – This seemed to cover more aspects than my previous SCRUM Master training had. The instructor was well spoken, and the subject matter was clear and concise. I am now able to challenge and correct my team at Integritron Integrated Solutions when they fail to follow Scrum principles. Simplilearn's ASF program included hands-on simulations that prepared me for the real world. This is a very good, accurately structured course. The pace is just right. The trainer is a rock star!!! This course was very helpful from the course content point of view and precise. Also I have to mentioned that the live chat support executives were very helpful. How does online classroom training work for this course? Agile Scrum Foundation Online Classroom Training is conducted via online live streaming of each class. The sessions are run by a Scrum Master certified trainer with more than 15 years of training and work experience in the domain. The class is attended by a global audience, enriching your learning experience for geographically diverse Scrum implementations. What certification will I receive after completing the agile training online? After the successful completion of the agile training and exam you will be awarded the Agile Scrum Foundation certificate from EXIN, the global body of accreditation for Agile Scrum Foundation. The actual certificate will be emailed to the participant 10 days after the declaration of the result. What is offered as part of the agile certification online training? As part of the agile training you will receive 5 hours of instructor led training to prepare for the agile certification exam. Yes, the exam fee is included as part of the overall agile certification cost. You can book the agile certification exam online with our support team by clicking on the Help and Support Tab at the bottom of the page. Absolutely. Our Agile Scrum Foundation training course is designed to guarantee you’ll pass the agile exam on your first attempt. With a hands-on learning approach, the training not only gives you the confidence to pass the exam, but also helps you retain knowledge beyond the exam. All of our highly qualified trainers are working professionals and industry experts with at least 10-12 years of relevant teaching experience. Each of them has gone through a rigorous selection process which includes profile screening, technical evaluation, and a training demo before they qualify as Simplilearn trainers. We also ensure that only those trainers with a high alumni rating continue to train for us. Our teaching assistants are a dedicated team of subject matter experts here to help you get agile certified in your first attempt. They engage students proactively to ensure the course path is being followed and help you enrich your learning experience, from class onboarding to project mentoring and job assistance. Teaching Assistance is available during business hours.